After takeoff from Reykjavík we head north towards Hvalfjörður (Whalefjord). 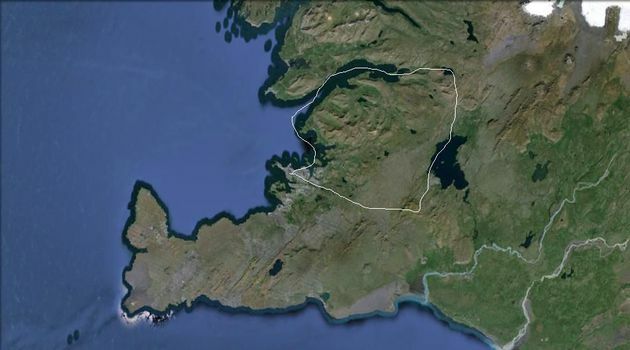 After flying the entire length of the fjord we will find the tallest waterfall in Iceland, Glymur. 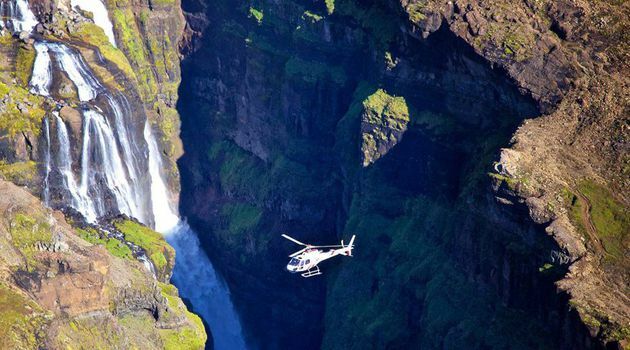 It drops over 640 feet and is truly an amazing sight from below, the side and above. 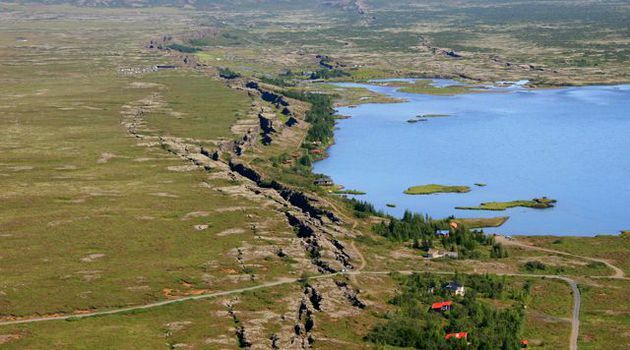 From there we head to the beautiful area of Þingvellir (Parliament fields) National Park. 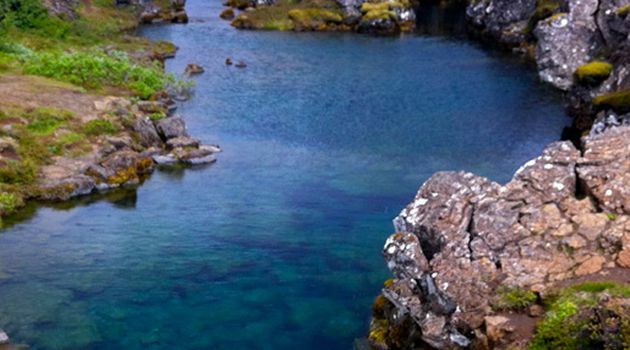 At Þingvellir you will be able to observe from above where the American and European tectonic plates are tearing apart. 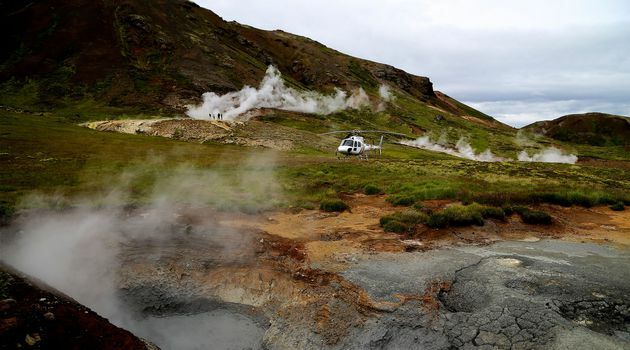 Then we head for Mount Hengill, a powerful place where you will see some untamed geothermal pools and a geothermal power plant close by. 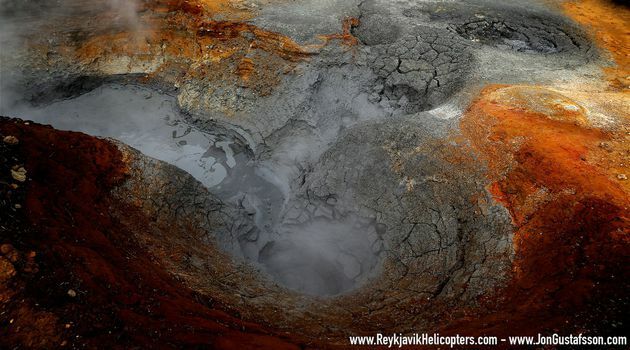 We will make one stop/landing, conditions/weather permitting, on this tour. The rest of the tour is quite a colourful ride back to the city.